According to latest reports, a whopping 99.26% of the UAE population remain active on social media. Youtube’s penetration in the UAE market stands at 79%. Another study, shows that Emiratis game an average of 20-40 minutes per day. With the consumption of media sky rocketing year on year, the need for our smartphones to be able to deliver the same increases too. Keeping intense media consumers and mobile gaming enthusiasts in mind, Huawei created the Mate 20 X. A beast with some of the best specifications money can buy right now and if you’re wondering, no it doesn’t burn a hole in your pocket. The Huawei Mate 20 X comes with a 7.2-inch FHD+ OLED panel, the Kirin 980 processor, 6GB of RAM, the same amazing camera from the Huawei Mate 20 Pro, a huge 5000mAh battery and so much more. Starting with the one of the most unique feature of the Huawei Mate 20 X, we take a look at its display. The display is a state-of-the-art 7.2-inch OLED screen which absolute shines and brings out the vibrancy in anything displayed on it. The display enables gamers and entertainment bingers to have a complete and immersive experience. Even with a 7.2-inch display, the Mate 20 X has a huge 87.6% screen-to-body ratio and is ergonomically created to remain comfortable in the hand even when using one-handed. The engraved glass back comes with Huawei’s unique textured finish to enable better grip as well as to remain anti-slip and anti-fingerprint. Compared to its competitors, who haven’t dared moved past the 6.4-6.5” screen-size mark, Huawei takes this liberating step into the 7-inch flagship device category without ruining the conventional feel of a smartphone in any way possible. The Huawei Mate 20 X comes with the industry-leading Kirin 980 which provides all the power (and more) that you need to go on your media or gaming binge. The Kirin 980 and its dual-NPU, which offers vast AI computing and creates massive efficiencies and a drastically improved user experience. The Mate 20 X comes with the GPU Turbo 2.0 technology which supports faster, smoother, more stable gaming even in complex, graphically intensive games. Now if you’re a mobile gamer and reading this, you must be thinking about heating. 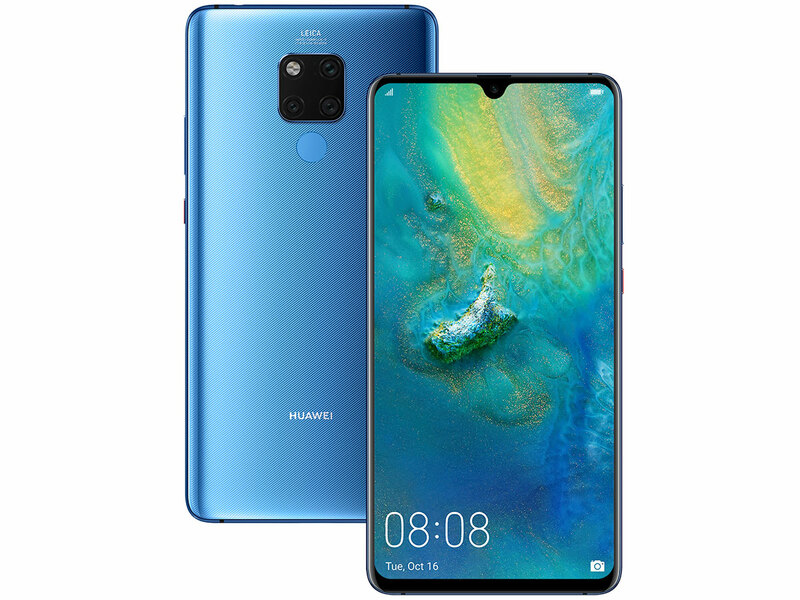 Well Huawei did too The Huawei Mate 20 X features Huawei Supercool, the world’s first liquid multi-dimensional cooling system with a Vapour Chamber (VC) and a Graphene Film used in smartphones. It conducts heat away fast, keeping your device cool for smooth gaming and epic entertainment. Now you’ve got your huge display and all the power you need. What’s left? Well the battery of course! Again, while its competitors haven’t even completely caught up to Huawei’s battery-sizes from 2 years ago, Huawei is already breaking ground with the Mate 20 X and its battery. The large gaming and media beast comes with an industry-leading 5000 mAh battery and an AI-driven resource allocation system to deliver a staggering amount of power for when you want to game or binge your latest Netflix show. The TÜV safety-certified HUAWEI SuperCharge charges your phone at high-speeds to enable a quick power-up in the rare scenario you’ll need one. That’s not all, the phone comes with Huawei’s applauded Leica triple-camera system with a 40MP+20MP+8MP setup, AI Vision which tells you where you are or where you can purchase an item just by pointing your camera it, Precise GPS and so much more. Huawei is a brand which clearly doesn’t feel the need to burn a hole in your pocket just because they give you more. Available at an unbelievable price of Dh2399, the Huawei Mate 20 X provides everything for those consumers who need a larger-than-life virtual experience without sacrificing on power or battery-life.